Friday is for forgiveness. 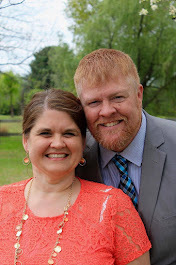 For today's story, I could not write it any better than the person did herself and the story which follows is one of incredible forgiveness that encompasses the love, empathy, passion, mercy and grace of Jesus Christ more than any I have ever known. Renee Napier lost one of her twin daughters in an automobile accident, along with another of her daughter's friends. The driver who killed them was drunk, and convicted of his crime. What happened next is so inspiring that Christian artist Matthew West wrote a song about it. I will let you read it for yourself at this link and then below, see the moment when Matthew West surprised her in person during a radio interview. If you're struggling to forgive, like me at times, because you have been hurt and because you have hurt others, then here's a good reminder to never minimize the pain, but always give God the chance to do something bigger. I love you, and these are my thoughts. Happy Friday. Enjoy. Technology matters, and in the culture of today's church, it takes a front seat in the driving force of communication in this generation. Sunday morning, I woke around 7:30 a.m. with my kids sleeping, my wife out of town and one foot of snow blanketing my front yard. Had I attempted to make it to the office just 10 minutes from my home, it would have been impossible. The decision was made on Saturday by our church staff to cancel Sunday morning services, only the third time in our church history in six years this has taken place without any alternative worship time. Our final decision was the direct result of our partnership with the City of White House, and responding to the Code Red alert for residents to stay home and off the roads unless in emergency situations. By Monday afternoon, temperatures rose and the city is returning to its normal activities on Tuesday by default. From my home, I loaded a social media graphic to pass the announcement and share. On Sunday morning, we sent a notification through our church app to cancel services and offer alternatives. Sitting on my couch Saturday night, I loaded a previous service from July 12, 2015 and the Crash the Chatterbox series, built the digital platform and released it at 9 a.m.
By Sunday evening - the message had been viewed 277 times, and our videos in total were viewed a record 415 times in one 12-hour period. We had 17 live viewers on a Periscope live broadcast from my recliner at 10:45 a.m. talking about the Gospel of Matthew and over 61 replay viewers in the next 24 hours. We received $200 in first-time online giving, and exceeded our normal weekly budget online for giving with recurring givers. In total, our budget took a slight hit of around $1,000, but minimal compared to the possibility of nothing at all. It is quite possible that amount could be made up faithfully by those who attend next Sunday and double tithing during service. Overall, our technological base was a HUGE success on a snow day. Almost every church in White House and our surrounding area cancelled on Sunday. Many of those have no system of return for the missed date. A church with no social media presence, no interactive technology and no online giving may have suffered a huge setback by missing one week of service. Let's break down the numbers for a moment: A church averaging $4,000 per week during in-service tithes and offering by cash and check may have suffered a 20 percent budget hit for the month of January (based on a five-week month at $20,000 which is average for a medium-sized church in this area). A church with no online presence may have missed one of just five hours of corporate worship time with guests, congregants, kids and families. There is no getting the time and investment back, and it would appear that church is facing a monumental uphill climb. Since churches are volunteer-based attendance and giving-based budget, missing a week of service would be like Wal-Mart closing its doors for seven days, while still paying its employees and expenses and trying to generating corporate momentum. Most of all, one week with a corporate church gathering makes a big impact on the momentum of the Good News of the Gospel of Jesus Christ being delivered to those who are seeking the most powerful reason a church exists: to equip and edify, and evangelize those who will find an eternal relationship with Jesus Christ. On August 11-12, 2016, Revolution Church will serve as a Nashville host site for the Global Leadership Conference by Willow Creek Church in Chicago, Ill., by satellite feed. An interactive church application for iOS and Android platforms. Digital media production including Pro-Presenter software, digital audio with in-ear monitors and post-production mixing, HD video camera recording then post-production remix with audio. Three in-service screens for live technology (words, video and graphics). Live broadcast of our second service on Periscope (through Twitter). A powerful social media platform and presence with a designed strategy for post times and target audience, including $5.00 per week budget for social media advertisements on Facebook to share videos of service. Online giving, accounting for over 40 percent of the church's income budget, and growing weekly in user sign-up. Square card-reader technology for merchandise sales of coffee cups, tee shirts, keychains and logo items in our welcome center. Two WiFi networks open (with password required) for congregants using technology during service. Online worship notes accessible by digital app. A network of open source resources with some of the largest churches in America, sharing free resources, videos, graphics, notes and digital files for the purpose of saving small churches money and time by using the resources of larger staff. Partnerships include NewSpring Church (Anderson, SC), Elevation Church (Charlotte) and LifeChurch.TV (Oklahoma City), Transformation Church (SC), and Willow Creek (Chicago). Interactive kids curriculum through The Gospel Project (Lifeway). Broadcast license partnerships through CCLI, CVLI and SermonSpice. Church Management Software and Kids-Check in through Elexio Inc. There is a much greater reach than the local church. Our media platform reaches to hundreds, if not thousands, of people around the world. Soldiers deployed from Revolution Church can watch online from Iraq, Afghanistan and European or South Asian destinations. Missionaries can view the services from at least 10 different countries. Churches in other networks partner with us through technology, and best of all: the NUMBER ONE reason people attend Revolution Church is from watching or finding the church online, and seeking out the real thing, in person. Those guests have a very high retention rate. Are you a stats person? Let me back that up. This is astounding. In 2015, Revolution Church had 15,857 media views and 6,060 plays through our website, Vimeo, social media and embedding of other social networks. 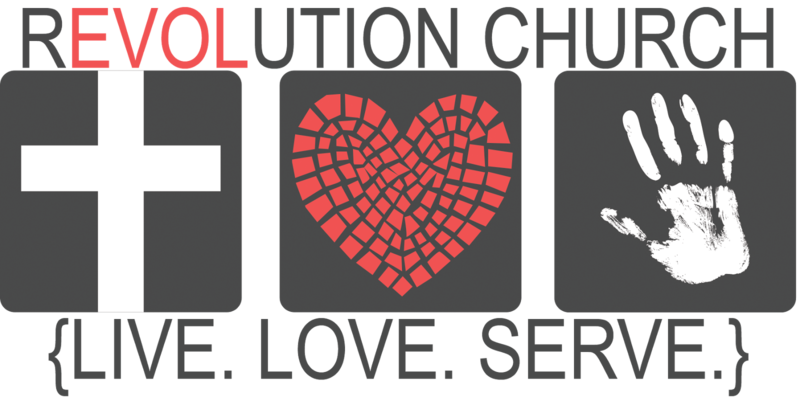 All-time, since 2010, Revolution Church has 141,183 media center loads or hits, and 35,080 video plays. The videos have been viewed in 78 countries around the world, and 90 undisclosed locations, including 253 plays from Portugal and 248 from Germany, most likely from military assignment of church members, community members and their families. The Gospel is no longer "come and see." The church must reach into the digital age. Access to the Gospel has never been more prevalent, and never been more important. Take the plunge, make a difference in your online footprint, and keep it professional, classy and an accurate representation of your church. Do not present what you are not; present who you are and allow your guests and partnerships around the world to get an verifiable representation of your local congregation. We may not be a church of 1,000 locally. But we can reach thousands around the world. Thank you for sharing, and if we can help you, let us know how. It costs money, it takes time and it spreads the message of Jesus. This is a worthwhile return of investment. Live.Love.Serve. and thanks for checking in. Following Monday's holiday, we are having our weekly staff meeting at Revolution Church on Tuesday, and you may also be returning to work. One of the things we emphasize as a staff and a church is serving with significance. 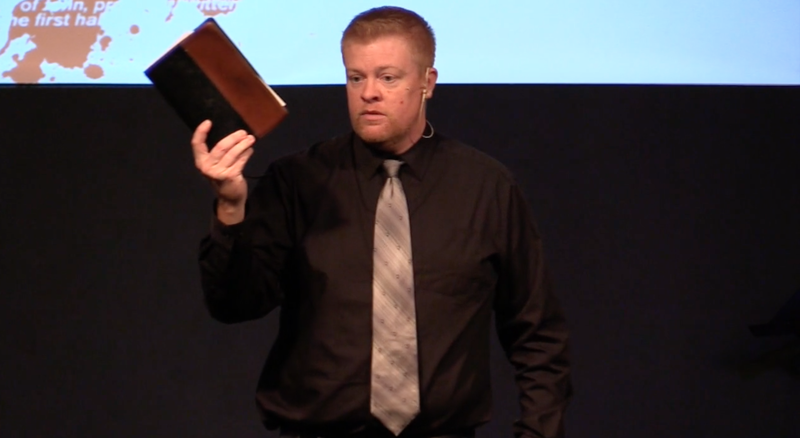 Based on Sunday's message from Matthew 20, remember that "among you it will be different. He that is among you that wants to be your leader must first be your servant." Our mission is Live.Love.Serve. 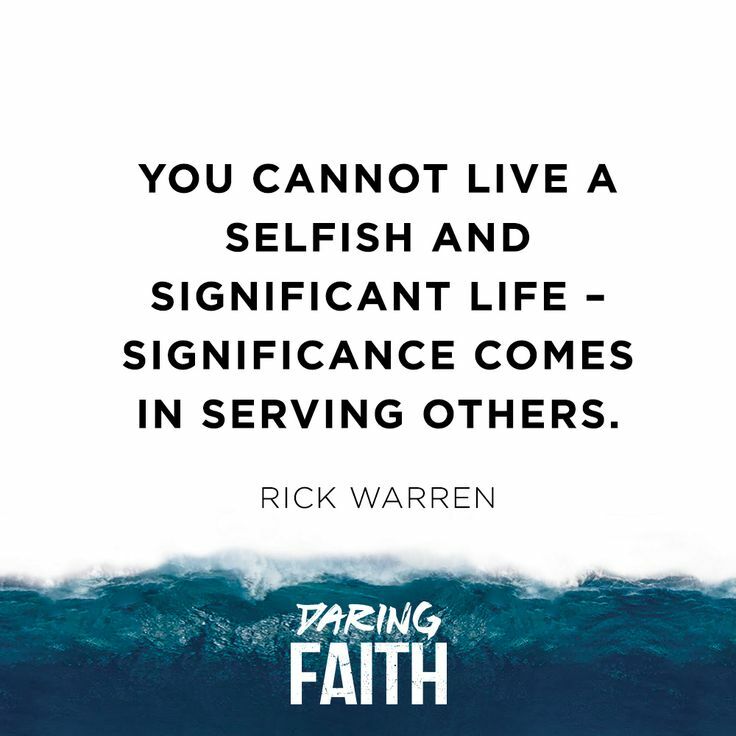 No matter your business, organization or individual involvement in either, you can serve with significance. Every visitor here is a guest; in fact we never use that word "visitor" at all in any of our verbiage or printed material or from the stage. We don't believe in visitors. We want to welcome guests. Everyone does their part, from the paid employee to the unpaid volunteer. Here are 12 steps to serving with significance. Enjoy, and make a difference! 1. I am empowered to build strong relationships, from the moment a guest steps onto the property. a. Are signs properly placed? b. Do people understand where to go? c. Are we greeting at every point of contact? 3. I am empowered to create an environment for our guests and be what they need. 4. I understand my role. I am significant and I matter to our guests and they should always matter to me. 5. I seek to be innovative and creative and am not afraid to try new things. 6. I resolve problems myself and don’t pass off what I can do on my own. 7. I am a teammate of others who serve and involve them in my role. 8. I am always learning and growing and finding ways to improve. 9. I am a planner and will be prepared. 10. I am proud of my appearance, language and behavior. 11. I am aware of security issues and privacy, and always prepared to look out for the best of our guests and my organization. 12. I am clean and safe. I will step up and keep my environment accident-free and proper for presentation. Jesus died for every person. May we always treat our guests like they matter as much as Jesus died that they do. Serving is not measured by FAME . Serving is measured by FAITHFULNESS . The opposition to Jesus is mounting, but the kingdom of God through Jesus is UNFOLDING . 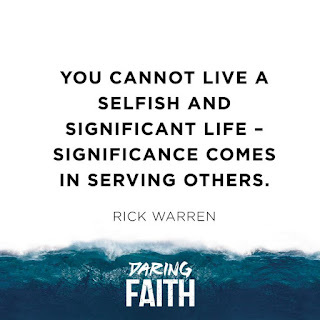 Never has there been a more relevant sermon to the mission of Revolution Church than one about being selfless and serving. 1. Serving is a matter of SACRIFICE . • Matthew was a servant of the rule of the government and became a servant of people through Jesus. • He gave up what he COULD HAVE for what others NEEDED. 2. Serving is a matter of SELFLESSNESS . • Arrogant people do not serve. Arrogant people expect to be rewarded. Arrogant people desire prestige. • Servants desire the BEST for the REST . 3. Serving is a matter of SALVATION . • Works will not save you, but they will SHOW you have it. See you next week and bring your Bible! 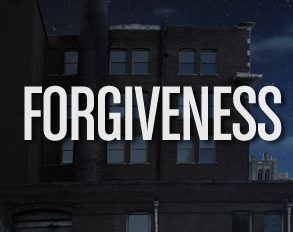 Friday of Forgiveness: "Nothing You Can Do"
Each Friday, we want to bring a story of redemption, called Friday of Forgiveness. Let me open with a story close to my heart, from the legendary left-handed swinging Hall of Famer of the St. Louis Cardinals. This edition of the Friday of Forgiveness comes from Stan Musial. Stan the Man played 3,026 games beginning in 1941 for 22 seasons, and his last at-bat was a base hit though the hole between second and first. The rookie second baseman that day for the Cincinnati Reds was Pete Rose. Those two players combined for over 8,000 hits from 1941-1986. 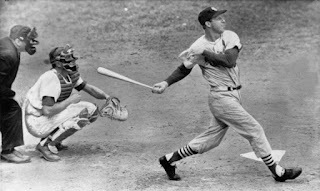 But in a particular game in 1954, writer Joe Posnanski recalls the tale of Musial batting in the seventh inning against the Chicago Cubs and pitcher Paul Minner had shut out the Cardinals 3-0, facing the minimum until Wally Moon reached base. Musial casually stepped to the plate and doubled down the right field line, scoring Moon and breaking the hold facing the Cardinals on this frustrating day. Except first base umpire Lee Ballanfant defiantly stood as the play came to a close and refused to change his call. Though the hard line drive had dropped inside the foul line, Ballanfant called it foul. The Cardinals bench erupted. Home plate umpire Augie Donatelli ejected manager Eddie Stanky and Cardinals shortstop Solly Hemus. A near brawl and riot ensued on the field. On deck batter Peanuts Lowery nearly got thrown out as well. At this moment, a quietly demeaned Musial did not fully know what was going on and stepped away from second base to ask Donatelli what had taken place. Donatelli was critical in Musial's career - not much later he was also behind the plate when Musial hit five home runs in a single double header, and he was again behind the plate for the slugger's 3,000th career hit. On this day, Donatelli upheld his first base umpire's call and it was foul. Musial returned to the box and Moon back to first. "What happened, Augie? It didn't count, huh?" Posnanski writes of Musial's words. "Well, there's nothing you can do about it." Musial stepped back in, laced another double to the exact same spot, and on this occasion Ballanfant called it fair and the Cardinals erupted for six runs and won the game. Musial's reaction is a lesson. Forgiveness involves a number of elements. You could have been the guilty party and needed to ask for it. You could have been the innocent party and needed to receive it. You could have been the co-party and needed to participate in a dual apology. But forgiveness is critical to moving forward and becoming successful in any part of life. We all have been hurt, and those hurts are real. What we do with those hurts will determine where you go. Many people have been hurt in ways that cannot be made right, but forgiveness allows us to take a different perspective. What if Musial had become so consumed with the umpire's call that he struck out? His team lost? He got ejected for arguing and ruined his legacy? Or let's say he did all or any of those things and then needed later to make it right. Forgiveness begins with giving or hearing an apology, but it comes through admittance and confession. But the key is to let it go and move on. Today, I challenge you to learn to forgive. Unforgiveness is poison, it's toxic, and sometimes it seems right in vengeance and honor but it's never fulfilling. Unforgiveness can release a viscous cycle of rebuttal which will never be made right. I think of other baseball calls. I struggle, as every Cardinals fan does, to forgive umpire Don Dekinger for blowing an out call in the 1985 World Series which ultimately cost the Cardinals a title. But the biggest issue was - there was STILL another game. The Cardinals came unglued in game seven and were blown out by the Royals, resulting in a 3-1 deficit becoming a 4-3 series win for Kansas City. The image is burned into my mind of Todd Worrell's foot reaching the bag first. But it will never change. Perhaps this is not about baseball, but a greater hurt. Abuse, innocence lost, tempers flared, words said, stupidity lessons learned. Forgiveness is the power of releasing what hurt is in you for the good that has yet to be revealed in others. Consider that Matthew West wrote a song about this. A family member decided to forgive a criminal who committed vehicular homicide with a DUI and killed her family member. They now travel together speaking about forgiveness and the dangers of drunk driving. THAT'S forgiveness. What about a missionary who was killed and his family members returned to those tribal areas to plant churches? That's forgiveness. Forgiveness is not getting even. There's NEVER an even. Jesus died on the cross to OVERCOME sin, not GET EVEN with it. He became sin, who knew no sin, so we might become His righteousness (Tomlin). Forgiveness could also be as simple as letting go of a hurt that is consuming you. The Bible says in Matthew 18 that between people, it is a matter of confronting and discussing and then moving forward. But what if that person is yourself. Oh, that mirror is blurry, isn't it? God said he forgives and tosses your sin as far as the east is from the west. You cannot forget. He can, but you cannot. You must, however, forgive. Forgive others, just as Christ has forgiven you. There's six runs waiting on it. Don't lose this game because you got thrown out. When the enemy brings up the past and cries foul, remind him, "Well, there's nothing you can do about it." Keep swinging. Forgiveness is a reminder that there's always a second chance. My pastor, Tim Williams, preached the message clear. Abraham sent a servant to find a wife for Isaac. If he didn't find the right one, the servant asked if he should return and take Isaac to another place to find the wife himself. Read the passage here, as the father of nations spoke directly with the word. Abraham said no. Isaac had a place and a plan, and it was Abraham's purpose to ensure it. 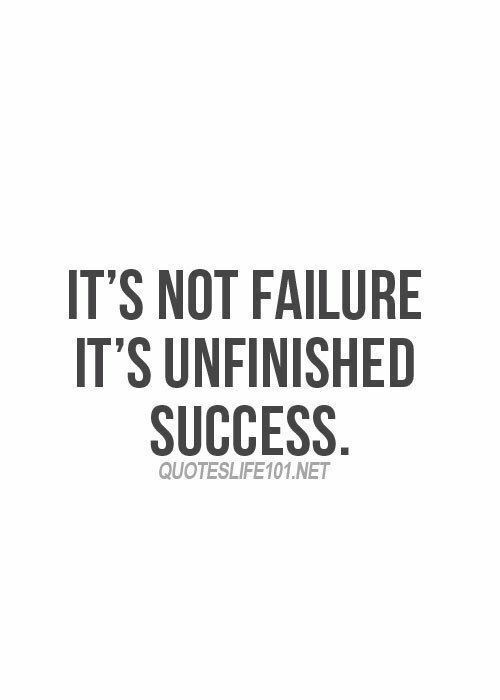 We live in a culture where no has become the buzzword for failure. Donald Trump shouts "you're fired." American Idol refuses a golden ticket to Hollywood. Bosses reject resumes and applications. Schools turn down academic prowess and bypass acceptance. And we turn away from these presumed failures with a broken spirit. Yet, no is not always the wrong answer. Perhaps, Abraham knew that for the will of God to be accomplished, a no meant the foundation was laid for a better yes. And therefore, he was firm that no was a good decision. In life, sometimes Abraham says no. Your dreams get a no. Your finances get a no. Your sports team gets a no. Your kids hear no. Your spouse says no. Your goals say no. Your weight loss scale says no. And you have the ability as these moments to quit. It's in the no, God delivers a yes. Adversity MAKES you better than success will ever BREAK you. If you are searching for your dreams, let me speak some words of "YES" into your life so that when the "no" moment comes, you do not quit. You instead, learn to look with spiritual eyes and have a better vision for what is in store. 1. The best way to dream is "try" harder than you think. You must put action to your dreams. 2. 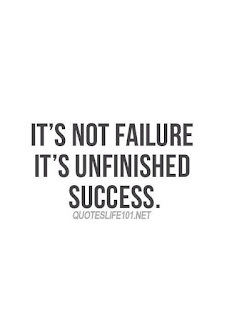 No is never a failure. It is an opportunity. The person who is afraid of a no, will never fully appreciate the yes. 3. Believe in yourself. The most genuine quality on earth is confidence wrapped in integrity and humility. 1. Market your dream. Get your story in front of the right people and maintain the proper sense of humility when God allows you to share it. Remember, you are a city set upon a hill, but the glory from the light belongs to God. 2. Be thankful. Never miss an opportunity because you are focused on yourself. Take a full inventory of the people you meet and realize every person could be a critical step in your journey. 3. Invest in others. While searching for your dreams, don't forget the people who are inspired by them. Let your adversities drive you to success and teach others to be better than you could have ever imagined. Don't let no stop you. Let it define you. Then, the right yes is the perfect fit. Because you dreamed big, the no prepared you for the day you finally found the right thing. GALLATIN, TN -- The bellow of his laugh was so contagious, this gentle-hearted servant calling out into the crisp February air. Snow fell, as Greg Strickland stepped into the batters box and Dustin Layne, a bulldog second baseman, swung two bats with donut sleeves in the on-deck circle. Following his introduction to less than 20 fans who braved this brisk winter day, Charles Thomas turned to me and said, "Kris, this is a great day for baseball." Charles was the father of the coach, a team ranked in the top three in the nation for NJCAA baseball, fresh off a trip to the Junior College World Series. There we sat, a makeshift press box located on top of the first base dugout in Gallatin, TN. 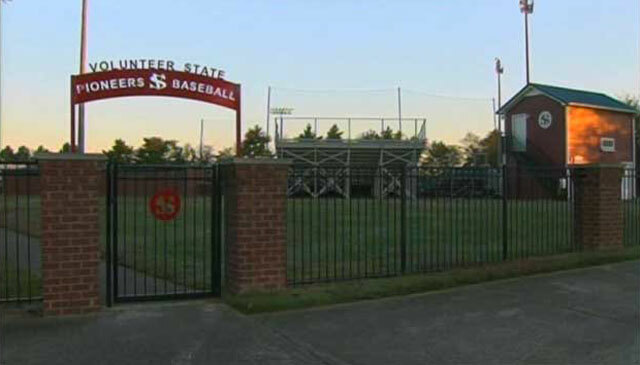 This field would be transformed later into the Tim Garrett Baseball Complex at Volunteer State College, and we spent part of the season sitting on the third base dugout at Vanderbilt's Hawkins Field (prior to remodel) while our lights were being installed. It was 1995-1996. Life was good. And Charles was my right-hand man, or maybe I was his. Little did he know, he was my hero. He could speak like thunder, and then wrap a kindergartener around his little finger with the meekness of a Sunday School teacher. He never once spoke anything but a positive word to me, and reminded me that "one day kid, you're going to do big things." My goal at that point was to marry the woman running the radio station and not commit an FCC violation while on the air. I accomplished both. I bet you did not know Jennifer was a D.J. - but that's a different story for a different time. Charles' son (Kenny Thomas) was the head coach of the Pioneers until 1999 and later left Gallatin to become the head coach of the University of South Carolina at Aiken where he still leads the baseball program. I think his dad went with him. I never saw Mr. Thomas the elder again, though I have spoken to coach a couple of times. I'll never forget the day he let me fill in. I did play-by-play over radio and public address announcing at the stadium at the same time while he attended a family event. He was my biggest fan. He was everybody's biggest fan. I asked him if one day I could take his job, and he said "Son, this isn't a job. This is what I do because I love it." When he was not announcing live, he would take a radio mic and provide color commentary for me on 88.5 FM. Every minute or so, he would have to push the "other" button and talk to the fans live at the event. His voice was so smooth, we just let him echo over the radio and never talked over him. Twenty years later, I am less that 500 feet from that same Vanderbilt baseball field where we called games on top of the dugout for half a season while Vol State used their field. After 18 years in full-time ministry, I was blessed this year to be named the public address announcer for the Vanderbilt Commodores basketball program. I wish I knew if Mr. Thomas the elder was still alive. I would love to call him. I would love to say that dreaming is worth it, and thank you for believing in me. 3. You were my hero. 4. Thank you for encouraging me to dream big. It's worth it. Maybe he was God after all, and the Lord just decided to look like Charles Thomas and never tell us otherwise. They sure sounded like the same person. 25 Jesus knew their thoughts and replied, “Any kingdom divided by civil war is doomed. A town or family splintered by feuding will fall apart. 26 And if Satan is casting out Satan, he is divided and fighting against himself. His own kingdom will not survive. 27 And if I am empowered by Satan, what about your own exorcists? They cast out demons, too, so they will condemn you for what you have said. 28 But if I am casting out demons by the Spirit of God, then the Kingdom of God has arrived among you. 29 For who is powerful enough to enter the house of a strong man like Satan and plunder his goods? Only someone even stronger—someone who could tie him up and then plunder his house. 30 “Anyone who isn’t with me opposes me, and anyone who isn’t working with me is actually working against me. The middle chapters of Matthew involve the works of Jesus as he fulfilled his earthly ministry. Once again, Jesus is healing but encounters the PHARISEES . - Unity is an Old Testament PRINCIPLE that is reinforced by a New Testament PROMISE . They accuse Jesus of casting out demons for DEMONSTRATION . If Jesus ACTUALLY did that, he committed BLASPHEMY . Jesus came to redeem people from their sin. Will you give an account for what is forgiven? 3. Confess your sins (repent of your sins).